Does your tanker need repairing? 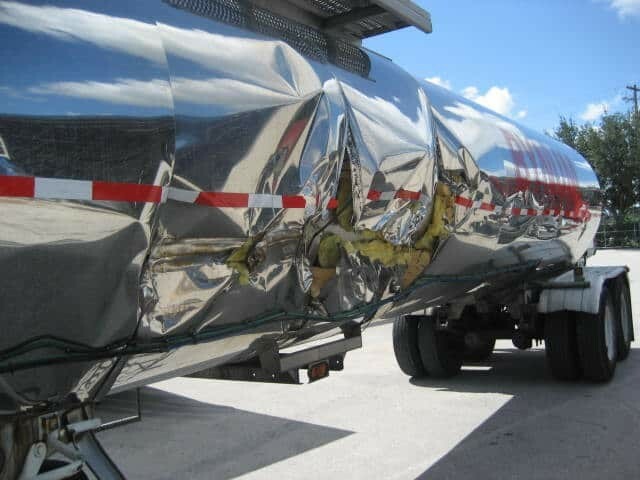 If so, Florida Truck and Trailer is the company to call for compete stainless steel tanker service and repair. Known for its citrus, cattle and dairy operations, Sebring is a thoroughfare for many truckers in the state of Florida. Accidents can happen! Since 1970, Florida Truck and Trailer has been providing truck and commercial fleet collision and tanker repair to thousands of clients throughout the state of Florida. From landing gear and frames to stainless wrap sheets and barrel damage, our experienced technicians complete every job to perfection, on time and on budget. Our reputation for outstanding quality is evident and unchallenged. We are one of the largest heavy equipment repair companies in the state of Florida providing our clients with exceptional service, quality workmanship and products, complete satisfaction, affordable prices and efficiency.